Robert CUSHMAN (1578 – 1625) was a Pilgrim leader and made arrangements for the Leiden congregation to immigrate to North America. He preached the first recorded sermon in the New World. (Wikipedia) He was Alex’s 11th Grandfather; one of 4,096 in this generation of the Shaw line. Robert Cushman was born in the village of Rolvenden in Kent, England, and was baptized in the parish church there on 9 Feb 1577/78. His parents were Thomas CUSHMAN and Elinor HUBBARD. He spent part of his early life in Canterbury on Sun Street. In 1620 he returned to Canterbury and at 59 Palace Street arranged the leasing of the Mayflower for the Pilgrims to use on their voyage to America. Oddly enough for such a religious group, there was no ordained minister among the American Pilgrims at Plymouth Colony Robert Cushman, a deacon, was the nearest thing. To settle the jealousies and animosities among the settlers, he preached a sermon on 9 Dec 1621. He married Sarah REDER on 31 July 1606 in St. Alphege, Canterbury, Kent, England. Sarah Reder lived in the precincts of the Cathedral at Canterbury and died in 1616 in Leiden, Holland and was buried on 11 Oct 1616 in St. Peter’s, Leiden, Holland. Robert was excommunicated for not recognizing the official church and as a consequence spent time in a cell of Canterbury’s West Gate Towers. In 1611 he was one of a group of Pilgrims who fled to Holland because of differences with the official church over their practise of religion. After Sarah died, he married Mark Clark on 5 Jun 1617 in Leiden, Holland before Andries Hasperson van Vesanevelt and Jacob Paedts, Sheriggs, Mary Clark is listed on her marriage record as “Mary Shingelton from Sandwich in England, widow of Thomas Shingelton”. Mary died before 1621 in Leiden, Holland. Anderson claims that she was “apparently dead” before this time since there is no evidence that she came to Plymouth with her husband and stepson. Robert did not complete the initial trip to the New World with the other Pilgrims on board the Mayflower, as the ship he was travelling on, the Speedwell, developed leaks and had to return to England. He instead took a different ship to the New World. Robert sailed to Plymouth, Massachusetts in the fall of 1621 aboard the Fortune, but returned shortly thereafter to England to promote the colony’s interests. There, he published an essay concerning the Lawfulness of Plantations, which was appended to Mourt’s Relation. This document is of interest to modern scholars because of its treatment of the economic reasons for emigration. Unfortunately, before he could return to the New World, he succumbed to an outbreak of plague in London, in the spring of 1625; as a result, the site of his grave is unknown. The book Saints and Strangers by George F. Willisonrecounts his story. Robert Cushman’s last request of William Bradford. “Have a care of my son as of your son ” was generously fulfilled, (and thus we find this son in the Bradford family) and so worthy was the result that Thomas CUSHMAN was chosen as Brewster’s immediate successor as ruling elder of the Plymouth Pilgrims. Sarah Reder was born in 1585 in Canterbury, Kent, England. Sarah died 11 Oct 1616 in Leyden, Holland. When, having prepared to make Plymouth His permanent home. Now consecrated anew by a more enduring memorial. The last survivor of the first comers in the Mayflower. His son, Thomas CUSHMAN (ca. 1607/08 – 1691), who accompanied him on the Fortune, was raised in the family of Plymouth Colony Governor William Bradford (1590-1657), and served as Ruling Elder of the Plymouth church from 1649, until his death in 1691. He was buried on New Plymouth Hill. Thomas married Mary ALLERTON who died in 1699. She was the last survivor of the original Mayflower passengers. Because the voyage and land clearing would be strenuous, it was decided that only strong men and women and their children would make the voyage. During the summer of 1620, the Merchant Adventurers assembled a pool of money and the Pilgrims who were chosen to sail sold their homes and belongings to pay for the voyage. It has been estimated that the cost of the voyage was approximately 1500 pounds. It became clear that additional people would be needed, and single men, and whole families of women and children were recruited in England. The new members were called “Strangers” while members of the Lieden congregation were called “Saints”. Some Separatists never left England and had no close relationship with members of the Leiden congregation. On the eve of the voyage individuals were asked to sign the 10 articles of agreement. The articles had not changed since they were presented earlier and some displeased individuals withdrew from the voyage. Even though the agreement was unsigned, the remaining Separatists decided to sail and settle the issue at a later time. The Separatists selected a leader, “Governor”, for each ship. 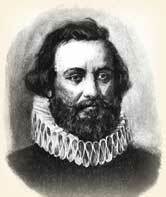 To pacify the restive Strangers, one of their members, Christropher Martin was chosen governor of the Mayflower. Martin was an abusive person and disliked by everyone. Robert Cushman was chosen assistant governor to ensure harmony. Christopher Martin, a Puritan, had been named expedition treasurer. He could not get along with the Leyden agents, Deacons Robert CUSHMAN and John Carver. And they were having trouble getting along with each other. There was little cooperation in buying provisions and, as a result, the Mayflower was stocked with two tons of butter, hardly any guns, and little to use in trade with the Indians. Thomas Weston, the London adventurer, was denounced as a “bloodsucker” for changing the terms of his agreement and he stomped off to London when the Leyden leaders refused to sign the new agreements. He vowed the Pilgrims would not get another cent from the Merchants and Adventurers. That was a heavy blow because the Speedwell captain refused to sail until the vessel’s rigging was changed and that would cost money. Pleas for help were sent to Weston but he kept his word and sent the Pilgrims nothing. To clear port they had to sell some of their provisions, including most of their butter, leaving them short of supplies. This time the ships put in to Plymouth, England, where it was decided to go on without the Speedwell. During this period Robert Cushman became seriously ill. In a letter to Edward Southworth in August 1620 he thought he was close to death. When it was decided not to sail the Speedwell, Cushman was asked to remain in London to look after its passengers until they could sail the next year. The Mayflower sailed from Southampton alone on September 16, 1620. Cushman recovered and looked after the affairs of the passengers and purchased supplies for the voyage of the Fortune in 1621. The compelling task facing Robert Cushman was to secure the colonists’ signatures to the 10 articles of agreement that were not signed the year before. The continued support of the Merchant Adventurers depended on it. 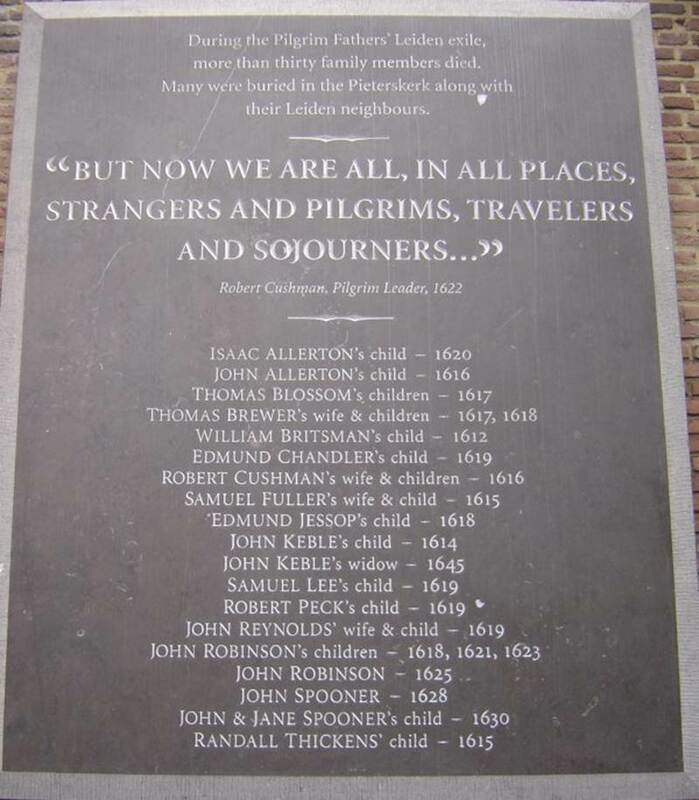 On December 9, 1621, the first anniversary Sunday of the Pilgrim landing in Plymouth, Robert Cushman gave a sermon, which along with Robinson’s farewell sermon in Leiden, are quintessential statements of Pilgrim belief. Cushman’s sermon entitled “The Sin and Danger of Self-Love” was based on 1 Corinthians 10:24, Let no man seek his own, but every man another’s wealth. Cushman’s pious prose is verbose by today’s standard but the sermon speaks to us today as powerfully as it must have in the bleak winter of 1621. Cushman’s remarks were a heart-felt plea for the Pilgrims to cooperate unselfishly for common good without regard for personal gain. It is not an exaggeration to draw a parallel between John F. Kennedy’s inaugural address in 1960 in which he said, “ask not what your country can do for you, but what you can do your country” and Cushman’s sermon. During the previous 12 months the hardships the Pilgrims endured softened the strongly-held opinions they and John Robinson embraced before they sailed for New England. They realized their marginal existence in Plymouth depended on supplies from England and they signed the 10 articles of agreement. The settlers listened to Robert. Not only did they sign the despised articles, but they filled the Fortune with wood and furs. Robert sailed for England. Unfortunately, the ship was seized by French privateers, who stripped it of everything of value. Robert was freed, but the colony would not pay for itself for a while yet. SERMON Preached at Plymouth, in New England, 1621, BY ROBERT CUSHMAN. LET NO MAN SEEK HIS OWN: BUT EVERY MAN ANOTHER’S WEALTH. The occasion of these words of the Apostle Paul, was because of the abuses which were in the Church of Corinth. Which abuses arose chiefly through swelling pride, self-love and conceitedness, for although this church was planted by Paul and watered by Apollos, and much increased by the Lord ; yet the sower of tares was not wanting to stir up evil workers and fleshly minded hypocrites, under a shew of godliness, and with angel-like holiness in appearance, to creep in amongst them to disturb their peace, try their soundness, and prove their constancy. And this the Apostle complains of very often : as first, in their carnal divisions, chap. 1. then in their extolling their eloquent teachers, and despising Paul, chap. 4. Then in their offensive going to Law, before the heathen judges, chap. 6. Then in eating things offered to idols, to the destroying of the tender consciences of their brethren, chap. 8. Then in their insatiable love feasts, in the time and place of their church meetings, the rich which could together feed to fulness, despising and contemning the poor, that had not to lay it on as they had, chap. 11. Finally in both the epistles, he very often nippeth them in their pride, and self-love, straitness and censoriousness, so that in the last chapter he willeth them again and again to prove, try and examine themselves, to see whether Christ were in them or not, for howsoever many of them seemeth, as thousands do at this day to soar aloft, and go with full sail to Heaven : yet as men that row in boats, set their faces one way, when yet their whole body goeth apace another way : so there are many which set such a face upon religion, and have their mouth full of great swelling words, as if they would even blow open the doors of heaven, despising all humble minded and broken-hearted people, as weak, simple, sottish, &c. -when yet notwithstanding, these blusterers, which seem to go so fast, and leave all others behind them, if like these glosing Corinthians, they carry affectedly their Own glory with them, and seem thus to stand for the glory of God. What do they else but join flesh to spirit, serving not God for nought, but for wages, and so serving their bellies, whose end will be damnation, except a speedy and sound remedy be thought of, which remedy is even that which our Saviour teacheth the rich young gallant, and which Paul here prescribeth, in willing them not to seek their own, but every man another’s wealth, which physic is as terrible to carnal professors, as abstinence from drink is to a man that hath the dropsy ; and it is a sure note, that a man is sick of this disease of self-love, if this be grievous to him, as appeareth in the man whom Christ bid sell that he had, and he went away very sorrowful, yet surely this vein must be pricked, and this humor let out, else it will spoil all, it will infect both soul and body, yea, and the contagion of it is such (as we shall see anon) as will even hazard the welfare of that society where self seekers and self-lovers are. As God then did direct this Apostle to lay down this brief direction as a remedy for that evil in Corinth, so you may think it is by God’s special providence that I am now to speak unto you from this text : and say in your hearts, surely something is amiss this way : let us know it and amend it. The parts of this text are two. 1. A Dehortation. 2. An Exhoxtation. The Dehortation, Let no man seek his own. Thev Exhortation, But every man another’s wealth. In handling of which, I will first, open the words. Secondly, gather the doctrine. Thirdly, illustrate the doctrine by scriptures, experience and reasons. Fourthly, apply the same, to every one his portion. The proper drift of the Apostle here is not to tax the Corinthians, for seeking their own evil ends in evil actions, but for aiming at themselves, and their own benefits in actions lawful, and that appeareth in the former verse, where he saith. All things are lawful, tf-c. viz. all such things as now we speak of, to eat any of God’s creatures, offered to idols or not, to feast and be merry together, to shew love and kindness to this or that person, &c. but when by such means we seek ourselves, and have not a charitable, loving and reverent regard of others, then they are unexpedient, unprofitable, yea unlawful, and must be forborne, and he that hath not learned to deny himself even the very use of lawful things, when it tendeth to the contempt, reproach, grief, offence and shame of his other brethren and associates, hatli learned nothing aright, but is, apparently, a man that seeks himself, and against -whom the Apostle here dealeth most properly….. The writing of Cushman, Bradford and other Pilgrims shows that they had an excellent command of the English language. Except for William BREWSTER, [our ancestor too] few (if any) of the Leiden men were educated formally. Nevertheless all were literate and wrote, and presumably spoke with facility. Since the Pilgrims read and quoted the bible frequently, their command of language is not surprising. The Bible is poetic, eloquent and has a cadence that influenced English-speakers for centuries. Creating the Undertakers in 1626 began a process that reversed Cushman’s 1621 advice sermon and transformed the colony’s fundamental beliefs. At no time was there a deliberate effort to repudiate Cushman’s advice. Rather, economic conditions altered the Pilgrims concept of community. Ostensibly, creating the Undertakers simply transferred the colony’s debt to familiar hands; inadvertently, the decision set into motion actions that made acceptable the pursuit of private gain. Thomas Cushman remained in Plymouth under the care of Governor Bradford and his father returned to England on the Fortune on 13 Dec 1621. Carried on the Fortune were beaver pelts and other furs worth approximately 500 pounds obtained from trade with the Indians for corn. The cargo was the first shipment of goods to the Merchant Adventurers and important for their continued support. As luck would have it as the Fortune approached the English coast, French privateers stole its cargo and the passenger’s belongings. Cushman and the crew were imprisoned in France but returned to England in Feb 1622. Luckily the signed articles of agreement and the manuscript of Mourt’s Relation were not lost. Mourt’s Relation [published by our ancestor George MORTON] was written to assure the Merchant Adventurers of the success of the colony and to interest others to emigrate. After 1621 Robert Cushman was the colony’s London agent arranging the transfer of remaining members of the Leiden congregation to Plymouth. As London agent, Cushman arranged the sale of furs and fish sent by the colonists to the Merchant Adventures purchased supplies for the colonists. When Miles Standish visited London in April 1626 he discovered that Robert Cushman had died (at age 48) during the spring of 1625. William Hoskins was one of the freeman in 1635. He married Sarah Cushman, and as a second wife, Ann Hynes, or Hinds. There is but little doubt that upon the incorporation of Middleboro as a town, in 1669, he was chosen town clerk, and continued in that office until 1693, although there is no official record of his election before May 24, 1681. At that time he was unanimously chosen to that office. His first election cannot be verified, as all of the town records were destroyed during King Philip’s War. He lived in Middleboro before the War, in the house of William Clark, and kept the original deed and records of the Prince and Coombs Purchase, and probably the records of the town. He is one of the soldiers “from Middleboro” who took part in the war, and was promised a grant of land for his services at Narragansett. William’s name is on the list of those who, on June 3, 1662, applied to the General Court at Plymouth in reference to a grant to be made to them as being the first-born children of this government, and for disposing of two several tracts of land lately purchased, the one by Major Winslow and the other by Captain Southworth. He was on the jury with John Tomson and Sergeant Ephraim Tinkham to try an Indian for murder in 1674. February 6, 1665, he was appointed administrator of the estate of Nicholas Hodgis, alias Miller, deceased. He had received a grant of land in Lakenham. His children were Sarah, born Sep 16, 1636; William, born Nov 30, 1647; Samuel, born Aug 8, 1654. 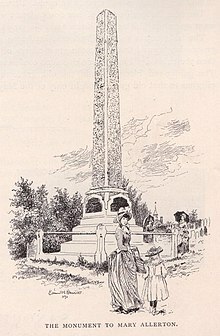 This entry was posted in 13th Generation, Artistic Representation, Dissenter, First Comer, Immigrant - England, Line - Shaw, Storied, Wikipedia Famous and tagged "The Sin and Danger of Self-Love" 1 Corinthians 10:24, 1st Recorded Sermon in the New World, Mayflower, The Fortune 1621, The Speedwell - 1620. Bookmark the permalink. I am told that I am descendant of Mary Allerton so I like to review the personal history of my ancestors for today, Thanksgiving, as I prepare for the festivities. Because of these ancestors I am here and for 70 years had a very fortunate life. Robert was married to Sarah Reder in St Alphege Church Canterbury Kent England. Plymouth is in Devon England and has no church dedicated to St Alphege.